Jamaica Plain's first new brewery in a generation is set to open its doors to the public this weekend. 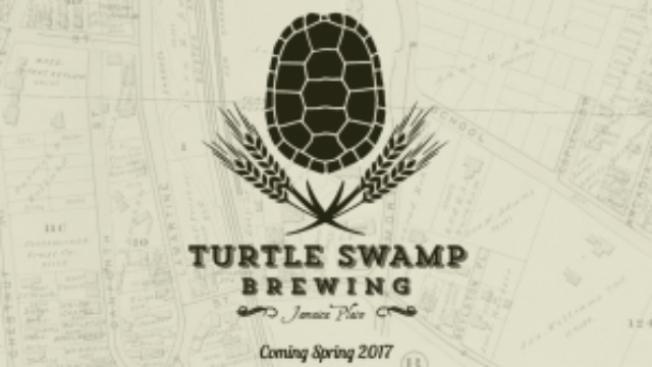 Turtle Swamp Brewing is holding a soft open on Saturday from noon to 6 p.m., a way for founder Nik Walther to welcome the neighborhood to the new space and finally get some of the fruits of all his labor out into the market. "We intend to give away some samples of the beer, and sell crowlers (for off-premise consumption), T-shirts and hoodies (which you can put on right away! ), and show off our brewing space," Walther said. Walther told me back in January that the brewery will focus on craft takes on classic beer styles, paying homage to the types of beer that would have been made in JP 100 years ago when there were at least 28 breweries in the neighborhood alone. "The outside is still very much a construction zone, but the brewery itself is quite nice and humming along," Walther told me today. "We currently have two beers packaged: the Serendipitous Paler Ale and Nik's Bitter (but Never Angry). We also have two beers fermenting in the tanks which will be ready soon, a Porter and an IPA." As for its location – 3377 Washington St., a mere half mile from Samuel Adams – Walther is optimistic the proximity can prove symbiotic, much like it has in Everett's Fermentation District where Night Shift Brewing, Bone Up Brewing Co. and Short Path Distillery all operate on the same block. "We feel that two breweries in an area brings more business to both," he said. Ex-Google CEO Speaks at MIT: "Diversity and Inclusion are Good Business"